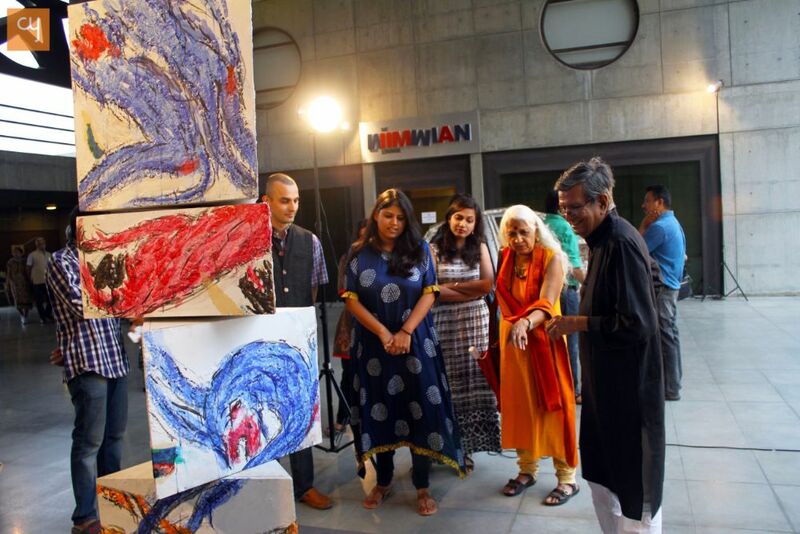 IIM-A known world over for its excellence in business education has, for past 10 days turned host to a very different kind of an activity, an art event. 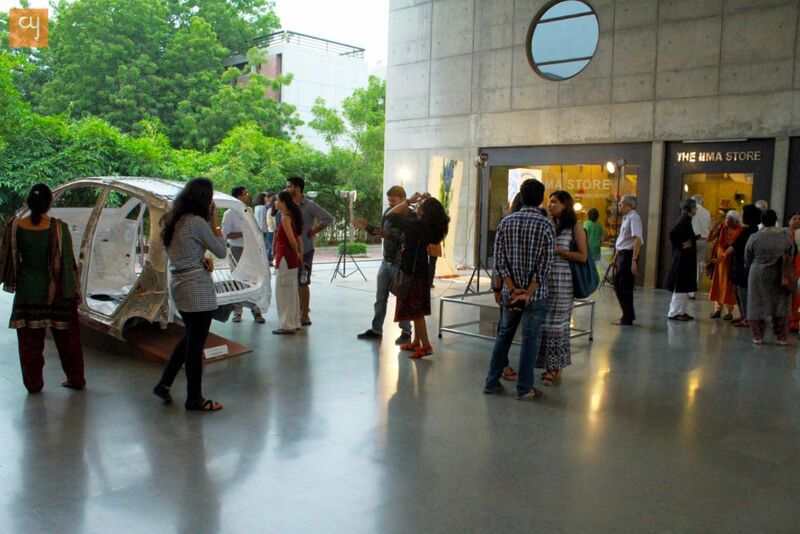 A workshop of interdisciplinary artists called ‘A dialogue between Easel and Chisel’ has been organized at IIM Ahmedabad from the 10-20th of August. The workshop itself concluded on the 17th of August and the preview was held on the 19th. The Show will be open from August 20th to 23rd from 4 p.m to 7:30 p.m. 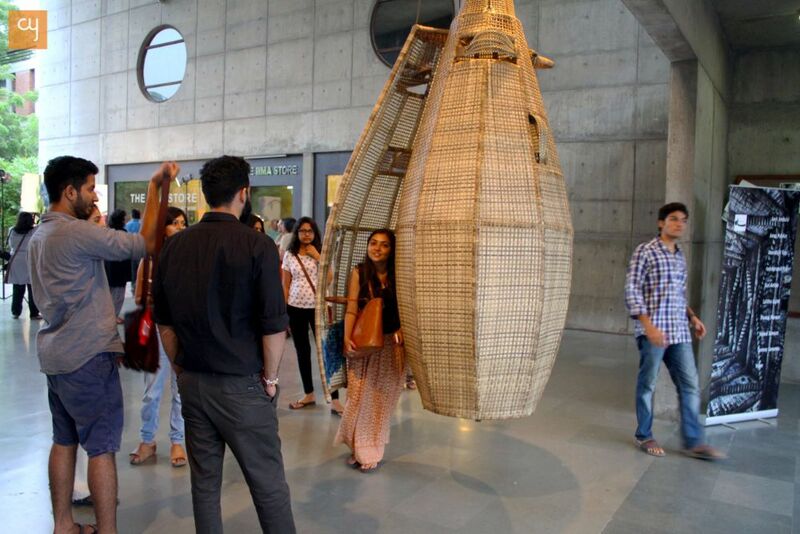 The workshop brings together acclaimed painters and sculptors like Amit Ambalal, Amol Palekar, Anandajit Ray, Indrapramit Roy, Karl Antao, Lalitha Lajmi, Pankaj Panwar, Sojwal Samant, Tanmay Samanta & Vyom together in this unique exercise. A painter has been paired together with a sculptor and both of them have created a unique piece of art. The brainstorming sessions for it have been going on for the past few months and artists have been interacting and conversing with each other in order to give form to their ideas. 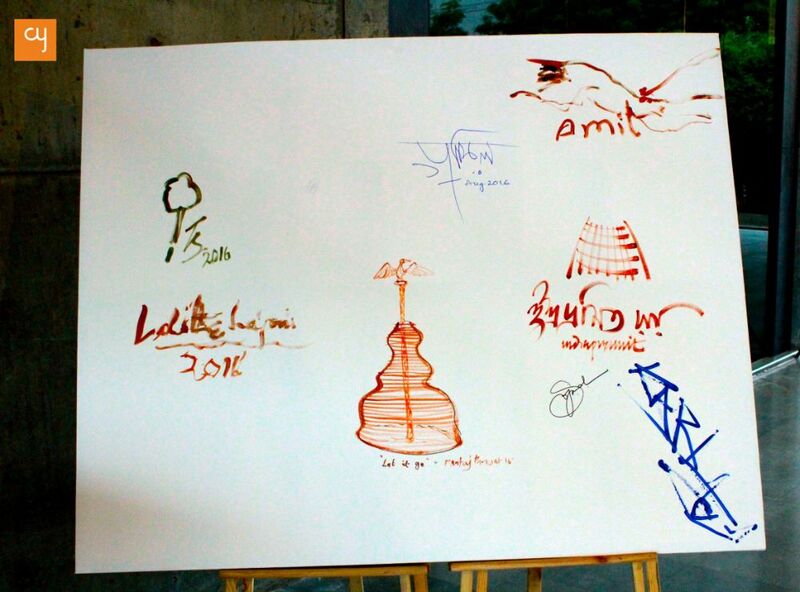 The artists finally came together at IIM-A on the 10th and started the journey of co-creation. 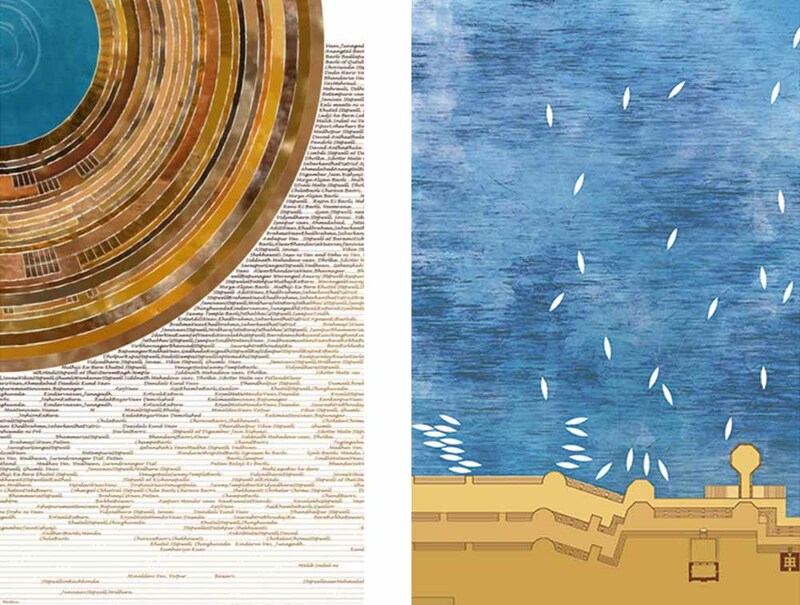 Amit Ambalal and Amol Palekar who worked together have created a lovely interactive installation which brings together the figurative and abstract methods which both of them are respectively known for. Both of them had questions and apprehensions going in but as Mr. Palekar puts it – it is the journey together which was exciting and the process was more important that the product. 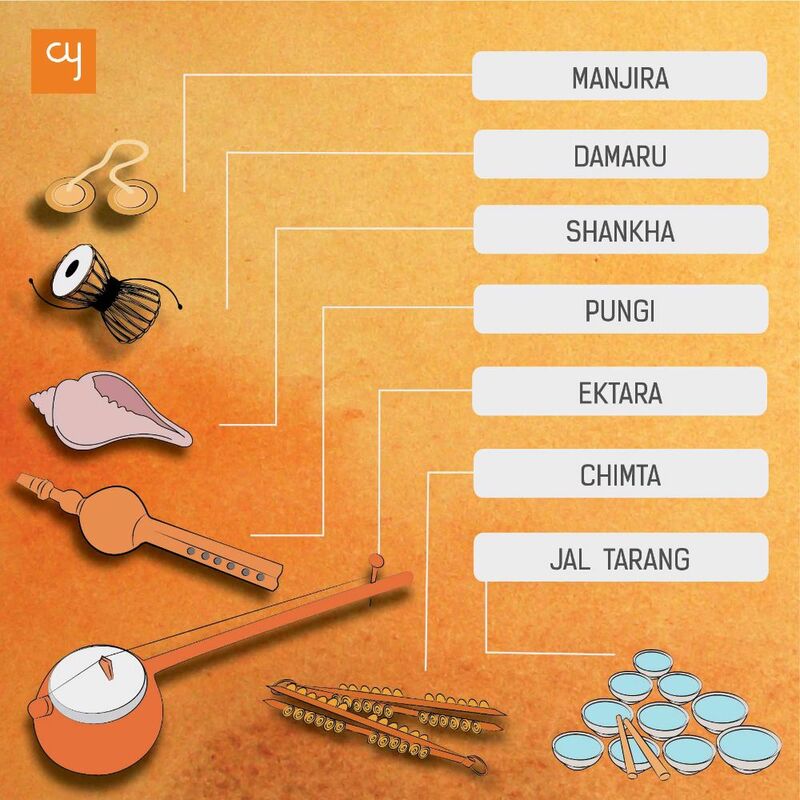 Even Mr. Ambalal said “the way the 2 things merge was interesting and the process was like a jugalbandi and a beautiful raga with the same rhythm emerged”. The installation itself combines both the figurative and the abstract beautifully. 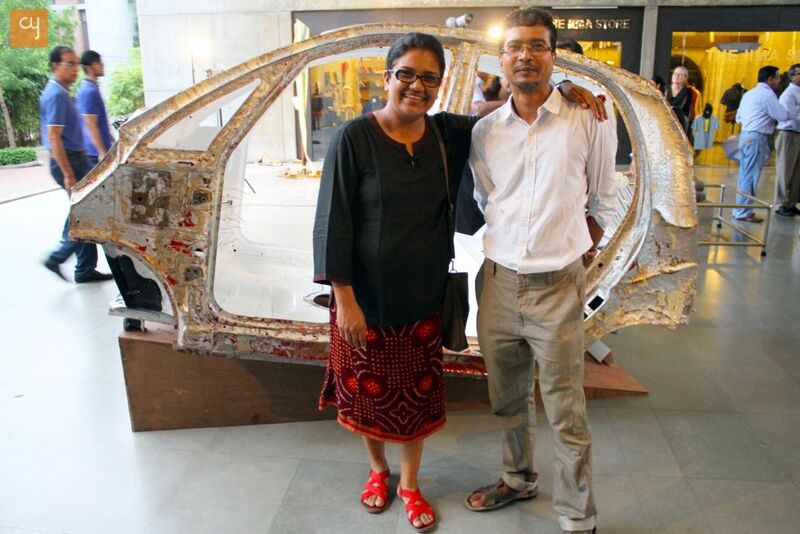 Sojwal Samant & Tanmay Samanta have created a piece titled ‘The Rabbit Hole’ which re-purposes a Nano car, Ms. Samant tells us the idea for using this came after a brainstorming session at MICA which is very close to the Nano factory! The Nano which has come to symbolise many things about India has been used masterfully to represent the artists thoughts. 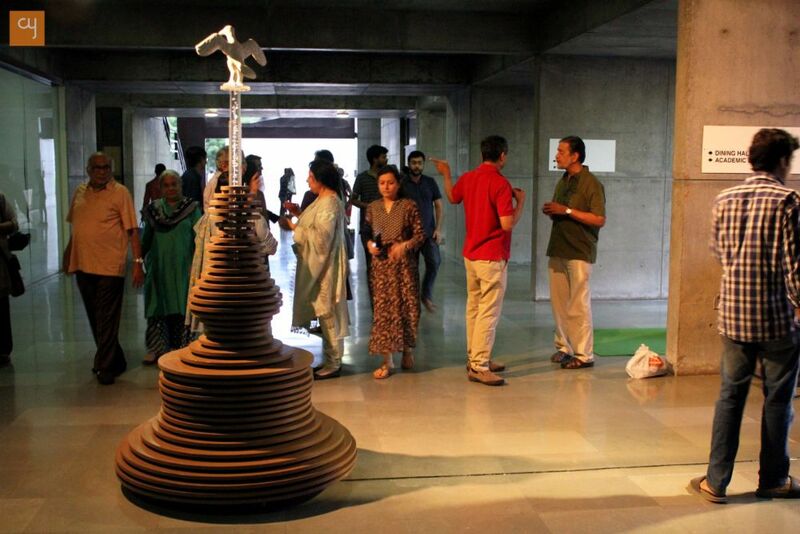 Indrapramit Roy and Karl Antao have created an interactive installation titled ‘The Ponder Pod’; As Roy explains the artwork takes its inspiration from the idea of silence and its form is influence by a Gujarati Jhoola. 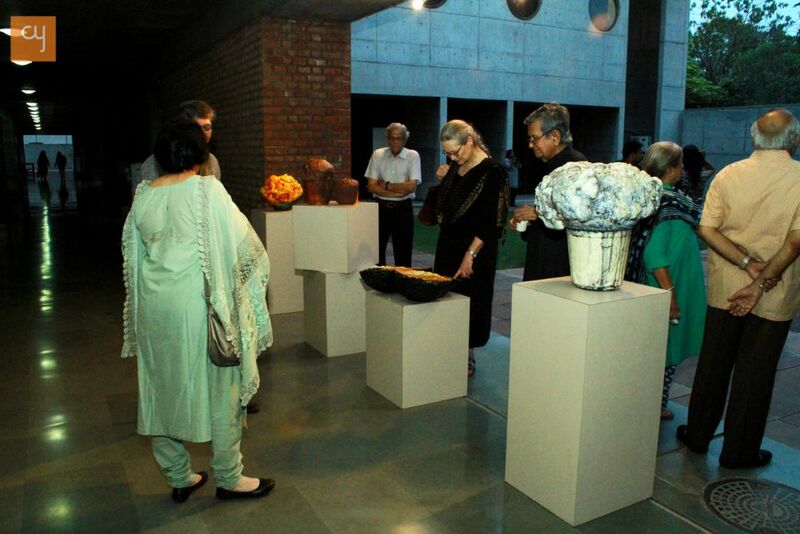 The artists encourage the visitors to step inside and ponder. 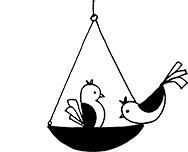 This also gives the work a slightly anthropomorphic angle when the individual is sitting inside and only dangling 2 feet are visible. As a visitor one would say that it is a lovely experience to sit inside and ponder! Lalitha Lajmi and Pankaj Panwar have titled their installation “Let it go” which contemplates on the themes of death and dying. Here the artists have worked on their separate mediums and brought them together to represent their ideas. Ms. Lajmi said that working with Pankaj was a wonderful experience. 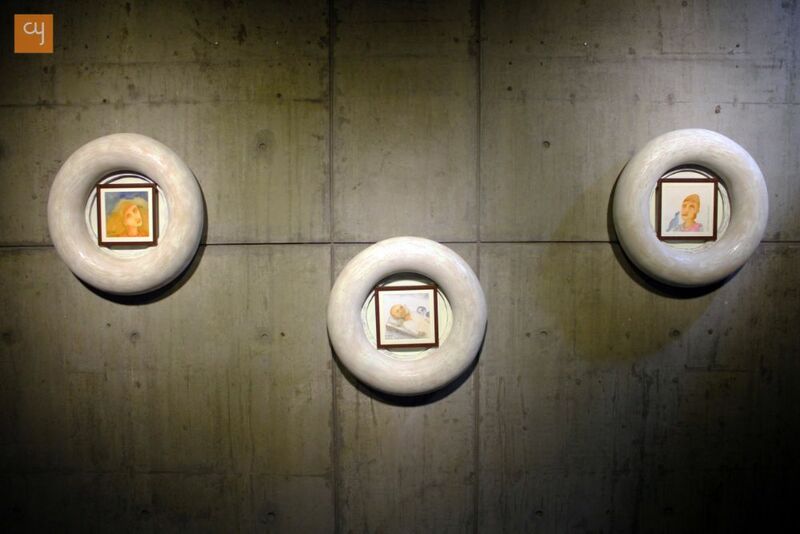 Their watercolours and sculptures beautifully complement each other. Anandjit Ray and Vyom have created abstract artworks with foam. They have explored the material to conceptualise their thoughts. Foam has been used to created different forms like faux concrete pillars and clouds of pollution, maybe as a comment on our modern lives. Artists, art aficionados and enthusiasts could be seen along with the general public observing and interacting with the art. One could see that everyone was thoroughly enjoying themselves and the brilliant artworks left everyone amazed. As one of the visitors put it “What I witnessed was a unique amalgamation of two individuals as an artist with different backgrounds coming together and co-creating a thought on the basis of events which they have experienced and touched them and hence changed their perspectives on cultures and day to day chores.” We ourselves couldn’t have put it any better. The workshop ends today on the 20th of August. 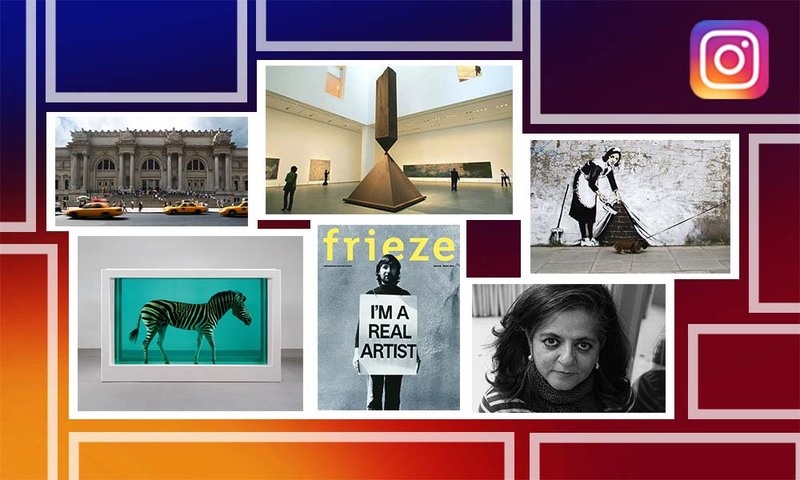 We at CY hope that Ahmedabad hosts many more such events and gives the residents of the city many more such opportunities to encounter such remarkable art.